Touted as a super food, quinoa is a grain of solid nutrients that are very popular for dieters and health enthusiasts. If you have been researching healthy foods to improve your diet, then you may have found the quinoa. Many experts recommend this healthy grain because of its nutrition value substance content. After discussing the Quinoa in General on Quinoa vs Brown Rice, now we will discuss in more detail. Please enjoy the review of 2 types of Quinoa is Red Quinoa vs White Quinoa. What is Red and White Quinoa? Quinoa was already more than 6,000 years ago were consumed by humans. Taken from Spain Language “Quechua” or “Kinwa” i.e. language used by Indian tribes who lived in the Andean region of Chile, Peru, Bolivia, Ecuador and Columbia. Quinoa at that time and had long grown and eaten by its inhabitants. Fruit that encloses the seed has a diameter of 2 mm and has white, red, or black depending on the variety. In nature, the seed of quinoa contains saponins which have a bitter taste. This makes the bitter taste of quinoa seeds resistant to pests so that birds do not require special protection. Efforts to develop varieties that have lower levels of Saponins are not easy to do. 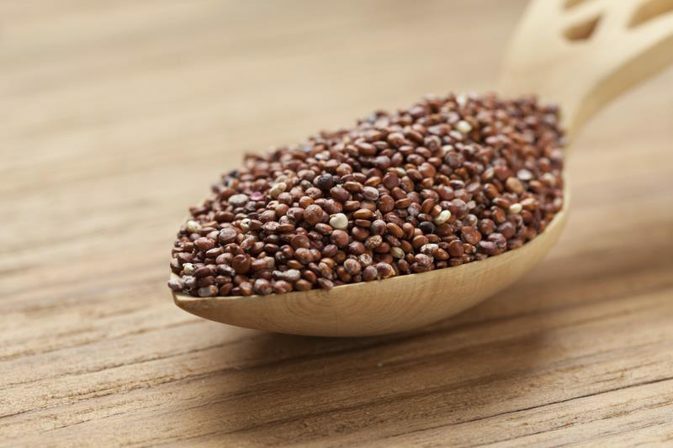 Red quinoa is considered by some as the Cook quinoa with types that are not easily destroyed after it is cooked, so it’s suitable for cold salads or other recipes that are concerned with the beauty of the shape of the seed. While, White Quinoa is the most common and easily obtainable in the market and sometimes named as Ivory Quinoa. Red and white quinoa seeds raw protein-rich. Contains at least nine essential amino acids making it one of the most protein-rich foods we can consume. 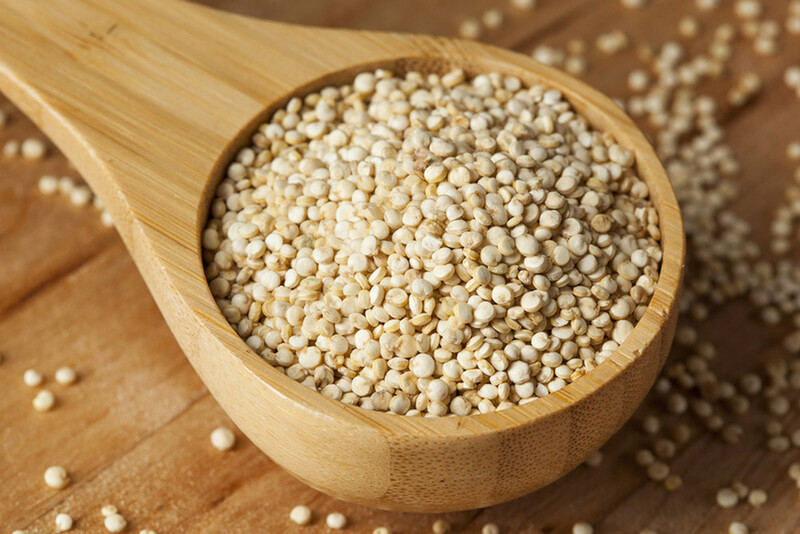 Nutritionists stated that of quinoa protein found in almost the same as those found in milk, but it has more protein than rice in the amount of 7.5%, 9.9%, millet and wheat 14%. Quinoa has at least twice the fiber found in other grains. Fiber is a very important part of any diet because it helps digestion, lowers the chances of constipation, prevent heart disease, diabetes increase and decrease high blood pressure. Fiber is also responsible in regulating cholesterol and glucose levels, thus allowing you avoid diseases like hemorrhoids and obesity. If you want to lose weight, quinoa is a good choice as a source of fiber because it helps your digestion and make you feel full for a long time. Quinoa is a great source of iron. Iron is a vitamin that produce healthy red blood cells, and is also responsible for making hemoglobin. Iron carries oxygen from one cell to another cell, thereby supplying our bodies with oxygen. 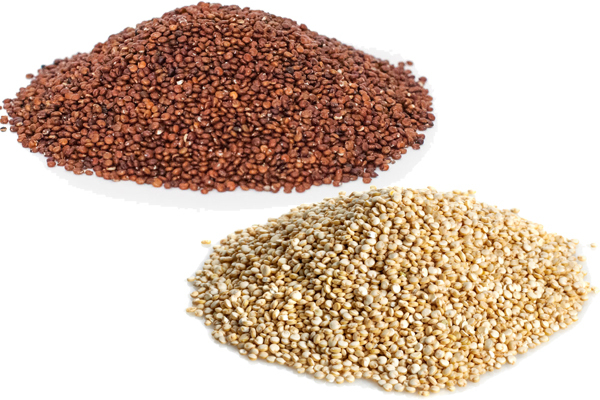 To make a conclusion, we must answer this question: What is the difference between Red Quinoa vs White Quinoa? One of the difference will occur to how they are cooked, white quinoa, which you will most often find in stores, is the mildest and least crunchy, and cooks up the fastest, in 10 to 15 minutes. Black is on the other end of the spectrum—it might need 5 minutes or so longer and is the crunchiest of the three with red somewhere in the middle.